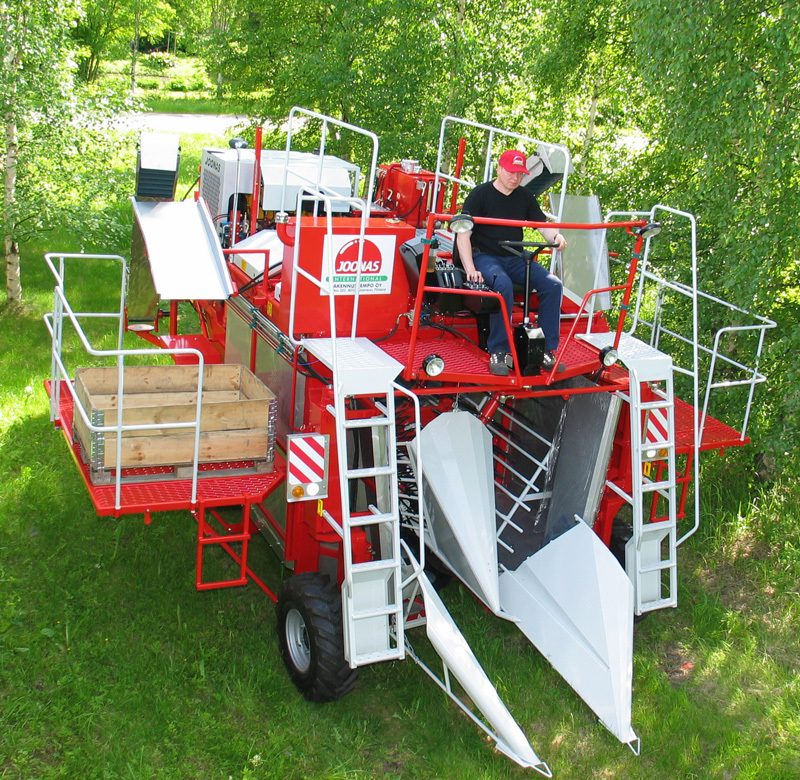 JOONAS 1500 is a self-propelled berry harvester with a unique 4 shaking-head system. 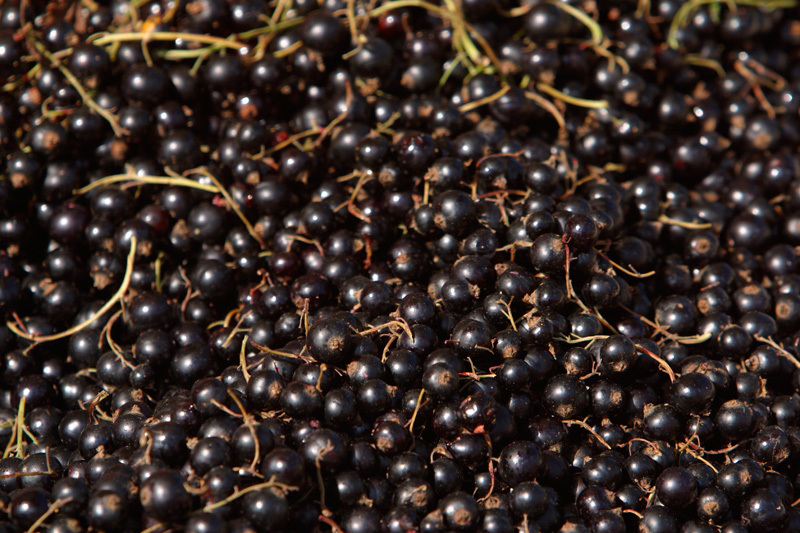 This system enables harvesting either in vertical or V position so that different berries can be picked with the same shaking module. Due to the hydraulically rotating collection plate system the harvesting result is excellent and bushes remain undamaged. JOONAS 1500 – machine’s collection system is longer and the inner dimensions are larger than those of the previous JOONAS models. A significant improvement on JOONAS 1500 is the hydraulics system of the machine. With the help of that system it is possible to narrow the machine hydraulically for transport. JOONAS 1500 harvester with four wheel drive and has an internationally recognised John Deere diesel engine. The standard equipment includes two side conveyors, one rear conveyor and two effective cleaning fans.